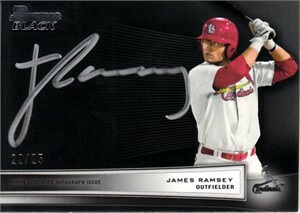 2012 Bowman Black certified autograph card of James Ramsey numbered 22/25. NrMt or better. ONLY ONE AVAILABLE FOR SALE.